Full service dog grooming is available by appointment or can be scheduled during your dog’s stay at the Resort. Our professional groomers offer baths, brush-outs, haircuts and styles, nail trims and spa treatments for your dog. You can schedule a “spaw” service during their stay at Diamond Kennels so you can bring home a happy, tired and clean pup, or you can make an appointment to drop your dog off for a “spaw” day. Weekday and weekend appointments are available. We offer a true state-of-the-art, professional grooming facility! The Sparkle Spaw features stainless steel tubs with metal mesh hoses (that guard against bacteria), a walk-in shower (safer for large dogs), stable electric grooming tables (no wobbly thin metal-legged tables! ), ventilated temp-controlled drying cages (no wire or plastic crates! ), a clipper vac system for better, safer and faster haircuts (which reduces the time your dog is on the grooming table), and no-heat dryers. The large grooming area has lots of windows for a sunny, open environment, and that helps to reduce stress! The Sparkle Spaw offers appointments 7 days a week. 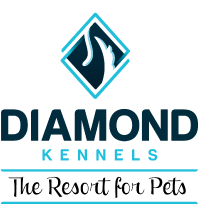 You can call for an appointment with our professional groomer or you can schedule a grooming service for your dog during their stay at Diamond Kennels. For more information on our grooming services please call us at (937)962-5328, email us at grooming@diamondkennels.com, or make a reservation by clicking here.